Seton Hill graduate student David Pearce-Smith recently accepted the Future of the Industry Award from the Pennsylvania Restaurant and Lodging Association (PRLA). David is a certified sommelier who went to culinary school at the Westmoreland County Community College (WCCC), and earned his bachelor’s degree in hospitality and tourism at Seton Hill. David works for the Rolling Rock Club in Ligonier and serves as adjunct faculty at WCCC, where he teaches a culinary lab class. He is also currently earning his MBA in Management at Seton Hill. "I fully believe that the MBA program has given me the financial literacy I need to make the right decisions in the future." His long-term goal is to become the general manager of a country club or a large hospitality organization. “I fully believe that the MBA program has given me the financial literacy I need to make the right decisions in the future, and to predict realistic outcomes by fully thinking through all aspects of a decision before implementation,” David says. For now, however, David is right where he wants to be in his career. 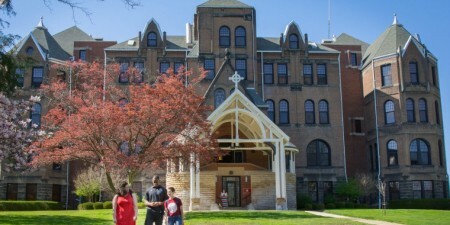 Learn More About the MBA Programs at Seton Hill.